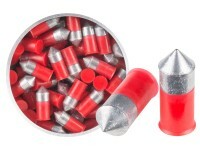 If a lead-free environment is important for your shooting range, use these PowerShot pellets from Crosman. Things I would have changed: I would make them more consistent in shape and make sure they fit tight in the barrel. Things I liked: There really weren't any standout qualities. It's heavy for a lead free pellet, if that matters. 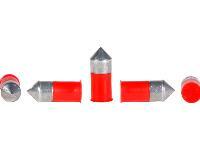 What others should know: It's cheap for a PBA pellet. If you're just shooting cans at 15 yards then this might be the one for you. Things I would have changed: Nothing. Some people complain that the pellet leaves residue in the barrel and it does, but i found out by shooting a few flat head lead pellets cleans it all out with about 3 to 4 shots.